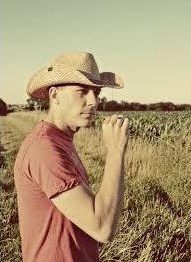 Michael Yuri Janitch is known online as Dutchsinse. Dutchsinse is a CONSPIRACY THEORIST and HOAXER who pushes DEBUNKED claims about Sandy Hook. YouTuber who makes his living from FAKE EARTHQUAKE PREDICTIONS insults memory of youngest child killed at Sandy Hook Elementary School shooting. We are all aware how conspiracy theorists do not believe in reality or actual facts – especially when they are presented with the hard-hitting truth. These types of scam artists are mostly in it for the fame-game of clicks and views to their videos. With Michael Yuri Janitch (YouTube’s Dutchsinse aka Sinsedutch), it’s a matter of money and misleading others online. Today, Janitch pulls in thousands of dollars each month with wild claims how he can predict earthquakes with science facts. The fact is, Janitch will always be a mass shooting Hoaxer. 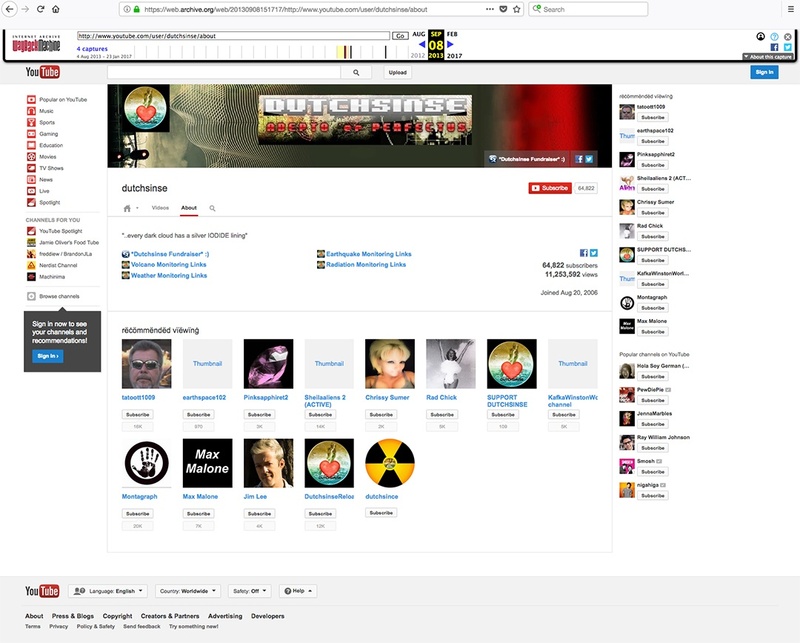 Dutchsinse is a Sandy Hook Hoaxer who has built his subscription base trolling innocent people on the Internet who made front page news headlines. Janitch insults over 140 people murdered by ISIS in Pakistan. According to Janitch, the news and murdered victims are nothing but fakers. Janitch begins the video with a shout out to his online friends Montagraph & Professor Doom1 for their “work.” Yes, these YouTube Hoaxers are indeed connected and working together. YouTube Hoaxers share the same contacts, friends, associates, etc. and partnered with each other since the Sandy Hook tragedy. Hoaxers monetize YouTube Channels and share ad revenue, distributing the spoils among each other accordingly. And with Professor Doom1 (aka Philip Daniel Craigie) currently serving a prison sentence for attempted murder, Michael Yuri Janitch wishes to distance himself from his hoaxing crew. 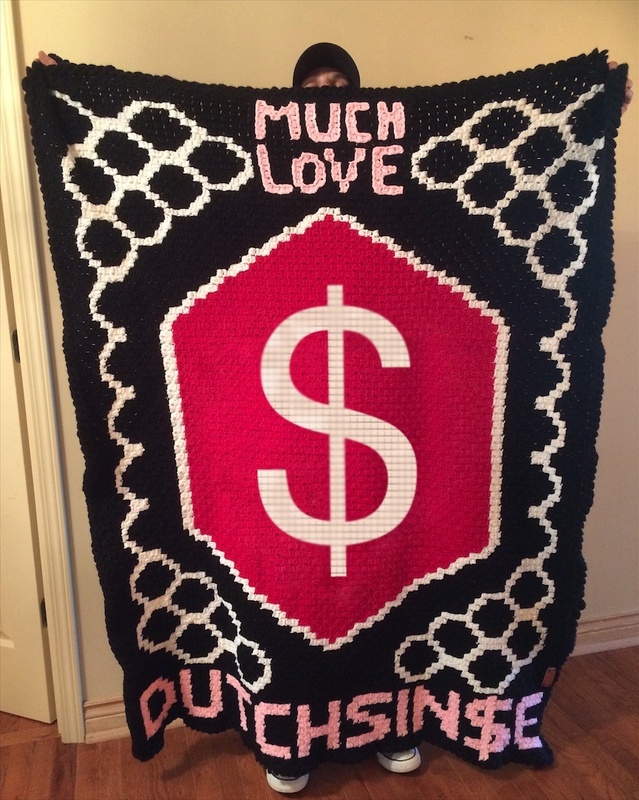 Dutchsinse: much love… OF YOUR MONEY! Janitch pretends to be a scientist and views himself just like all the Hoaxers online want to be viewed: as a knowledgeable researcher. Not only as a researcher, as the only reliable source for inside information. Dutchsinse wants people to believe the subjects he covers are topics the mainstream media cannot discuss. However, the man from Missouri wants nothing more than your money. He will take it from anywhere he can get it. Michael Yuri Janitch lies through his teeth. He says anything to promote his well-oiled cash cow. A zazzle.com account promotes the Dutchsinse brand. Basic artwork from a basic Hoaxer. YouTube and Patreon are steady paychecks for Dutchsinse. Patreon makes it easy to predict the check Janitch receives per month. As of this date, the Dutchsinse Patreon has 630 patrons. Patrons who might follow Dutchsinse are people from around the world. Do these patrons know they support weak and unproven pseudo-science every month? Do the followers know Dutchsinse is a Sandy Hook Hoaxer? 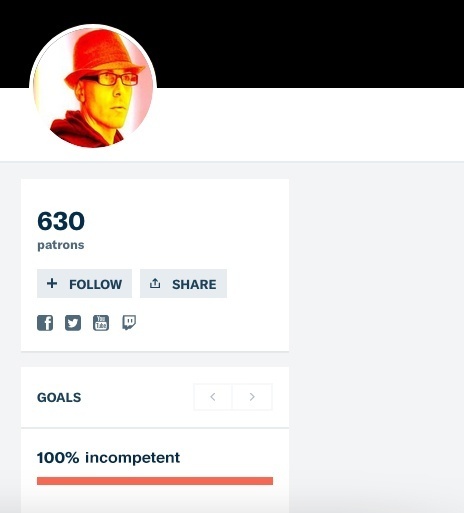 630 Patrons support Dutchsinse on Patreon as of July 2018. Hundreds and hundreds of patrons supporting Dutchsinse on Patreon are slowly being migrated from a YouTube Channel with hundreds of thousands of subscribers. 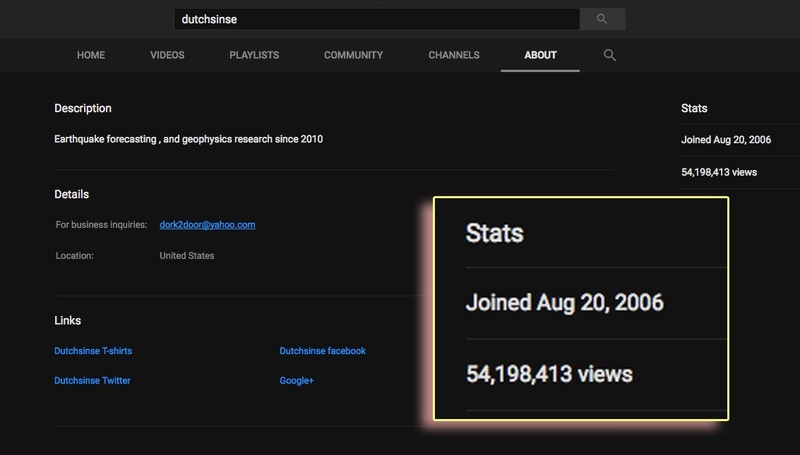 Hoaxer videos along with phony earthquake predictions were viewed more than 54 million times on the Dutchsinse YouTube Channel. Numbers don’t lie. Numbers like these lead to potential multi-million dollar click bait schemes, similar to what Alex Jones has built for his audience with InfoWARS. Dutchsinse’s YouTube “About” link (https://www.youtube.com/user/dutchsinse/about) has been placed into the Wayback Machine long ago, so we can get a better idea what Michael Yuri Janitch is really about. Less than one year after the Sandy Hook tragedy, Janitch aligned himself with Hoaxers to grow his Channel. Take notice of Dutchsinse recommended viewing YouTubers he supports. Janitch links to a few of his backup Channels. 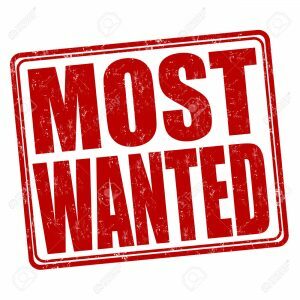 More important, Hoaxers we have featured on Social Media’s Most Wanted were linked to Dutchsinse by Janitch himself. Hoaxers like Jay Lee aka Tatoott1009, Max Malone and KafkaWinstonWorld. Hoaxers who were heavily involved in “We Need to Talk About Sandy Hook” were linked to the Channel. The biggest blunder was supporting Montagraph and his longtime Hoaxer bodyguard Chrissy Sumer. These two notorious fakers are part of the October Reignz gang stalking crew. Today, the Dutchsinse Channel tells a different story. 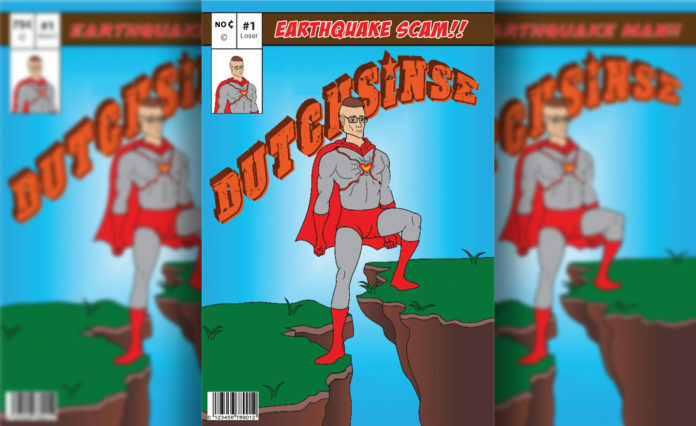 Because Dutchsinse is a Sandy Hook Hoaxer, he fears this will hurt him finacially once unsuspecting earthquake enthusiasts discover his dirty secret. Janitch chooses to keep his friends and large crew of Hoaxers hidden. Let us take a look at the NEW related Channels Dutchsinse had added as of January 23rd, 2017. Why is Dutchsinse a conman and Hoaxer? How does one come to the conclusion Dutchsinse is a Sandy Hook Hoaxer? How do we know Michael Yuri Janitch is only about money in his wallet and not what he claims to be? A great example is 9/11. After the tragedy that took place in the United Sates on September 11th, many Hoaxers have stated how great it would be to have a time machine. A time machine or prior knowledge of the event. The online Hoaxer Communities continue to pump out video after video, decoding what they believe are messages from elite secret societies. Hoaxers believe it is a rule where bad people are required to tell on themselves. Dutchsinse advertises himself as a scientist able to forecast earthquakes, yet prefers his audience to pay for his bogus material. Hindsight is 20/20 and Dutchsinse believes he is special. Predictions are just that: predictions. There is no science on any Michael Yuri Janitch Channel. Earthquakes occur all the time, much of them being small tremors. If scientists could actually predict natural disasters, why lock out any life saving earthquake forecasts on Patreon? Dutchsinse could potentially save countless lives with earthquake predictions and warnings. Michael Yuri Janitch predictions are nothing more than a show.